A new study shows that low vitamin D (25-OH-D) levels are associated with larger brain “infarct” volume in patients with “ischemic” stroke. Both words really describe the same basic condition, which is that the brain is being deprived of oxygen. The details of that study were presented at the 2015 International Stroke Conference in Tennessee. Patients with vitamin D levels below 30 ng/ml had “infarct volume two-fold larger than those with normal levels. In other words, more likely to suffer severe strokes. At three months, a higher risk for functional dependence. In other word, less likely to have a healthy recovery after 3 months. Population-based studies have shown a direct link between low vitamin D and strokes, and have shown that the vitamin can also modify a stroke’s severity. 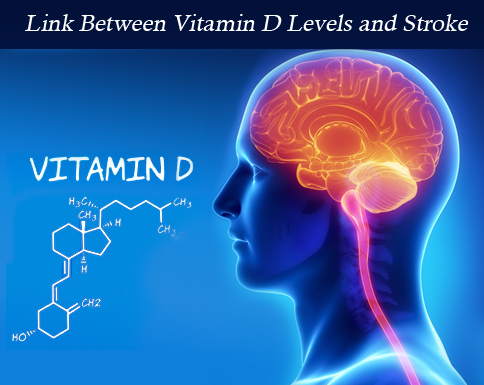 Vitamin D affects stroke risk factors and the outcome of the stroke. The subjects of the recent research studies were patients who had “acute ischemic strokes” from January 2013 to January 2014. Their median age was 73 years, and 45% were women. Many factors that can cause stroke. Although a firm cause-and-effect relationship between vit D and strokes is not established, it remains clear that Vit D level can influence the outcome of the stroke. Prior studies have shown that low vitamin D levels increase cardiovascular risk, double the risk of stroke in women, and increase the risk of poststroke hip fractures. More recently, low vitamin D levels in children have been associated with subclinical atherosclerosis in adults. “A priori, it makes intuitive sense to maintain adequate vitamin D levels in these patients,” Dr. Jose Biller, professor and chair of neurology at the Loyola University Chicago Stritch School of Medicine, Illinois, concluded. Does this mean everyone should start taking Vitamin D supplement? I often recommend Vitamin D to patients, as it also benefits children with asthma and patients with back pain. However, I also recommend patients to find out their vitamin D level through blood test in order to determine how much vitamin D would be appropriate for them. This entry was posted in Cardiovascular Health, Vitamin D and tagged cardiovascular, Cardiovascular disease, heart condition, Stroke, vit D, Vitamin D. Bookmark the permalink.